We are re-launching our website here soon, and to celebrate that, we are bringing back our Cool Tools department with a series about Social Media Measurement Tools. 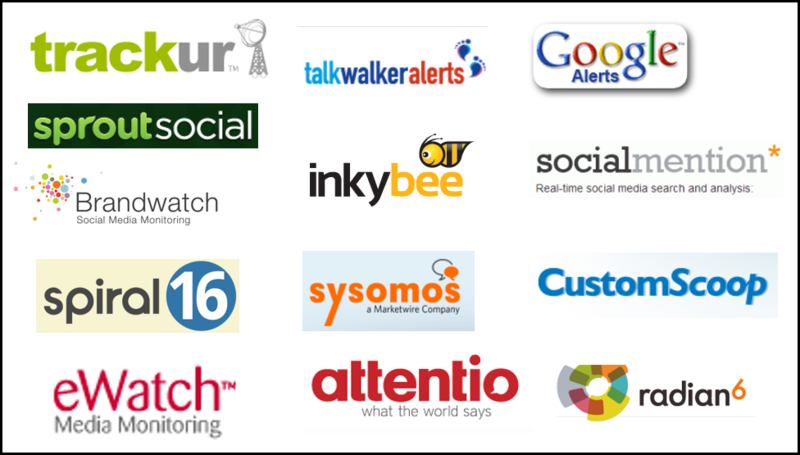 This is not an exhaustive list of social media monitoring tools but include those which we have actually tried ourselves and have found useful. Over the next few weeks or so we will also add a list of our favorite social media engagement and management tools, Social Media Influence Tools and Analytics and Analysis Tools. As we share, feel free to share each one with your networks and add YOU favorite tools to the comments section, along with their price range and what they do. Google Alerts Email updates of the latest relevant Google results (web, news, etc.) based on your queries. Talkwalker Alerts A easy and free alerting service that provides email updates of the latest relevant mentions on the Web directly to your email box or RSS feed reader. Trackur Affordable social media monitoring tools, including automated sentiment tracking. InkyBee Helps to manage all of the time consuming but essential work involved in blogger outreach, including monitoring for mentions. Brandwatch Social media monitoring and analytics tool, particularly good for analysts, allows you to dice and slice data. eWatch, a product of PR News, scans hundreds of thousands of traditional print and Web-based articles and postings each day and delivers its findings back to you each day in an easy to read report. Spiral16 analyzes unstructured data from social media and the web and turns it into actionable business intelligence you can use. Radian6 Social media monitoring tools, social media engagement software and social marketing from the industry leader in social analytics. It now is owned by and integrates with Salesforce Marketing Cloud. CustomScoop An all-in-one monitoring solution that covers traditional and social media. Every account includes on-demand analytics, distribution tools, and personalized service.